I have been wanting to try pho for a long time. What is Pho you ask? Pho is a Vietnamese noodle soup, usually served with beef or chicken. The soup includes noodles made from rice flour and is often served with Asian basil, saw tooth herb, rau om (rice paddy herb), cilantro, thinly sliced green onion, lime juice, and bean sprouts that are added to the soup by the person who is dining. The dish is associated with the city of Hanoi, where the first pho restaurant opened in the 1920s. 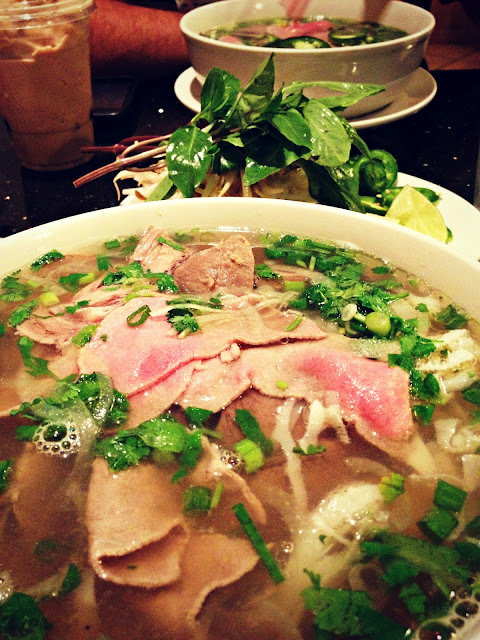 Pho is a popular street food, and night-food. 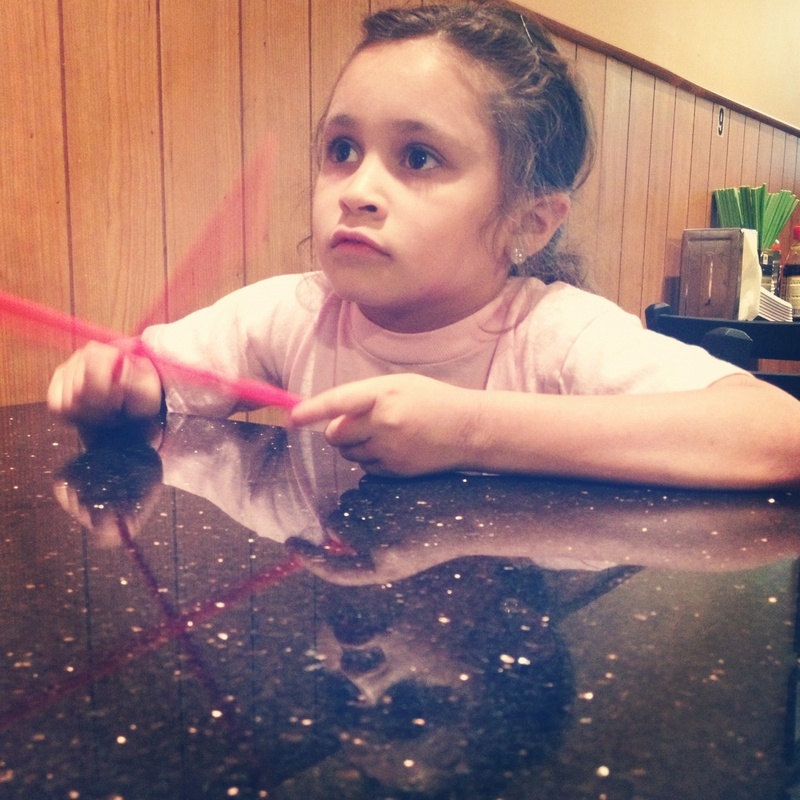 So we went to a local Pho place and just went for it. I ordered the House special that came with rare beef stripes, beef balls, and tripe. This way I could try a little bit of everything. To this I added hoisen sauce, soy sauce, bean sprouts, and lime juice. The girls shared a plate of broccoli and chicken with white rice. 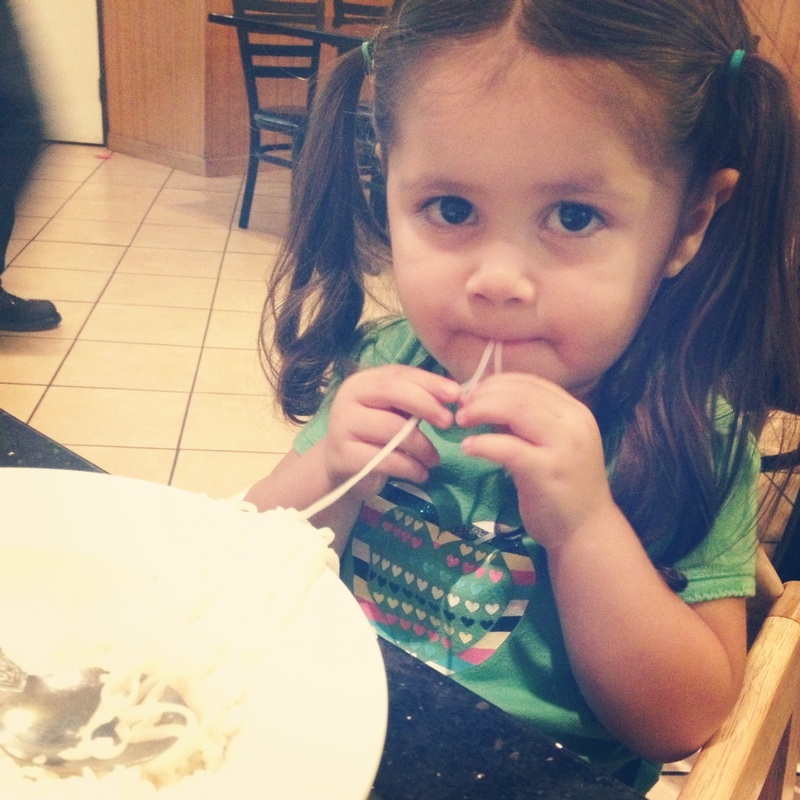 And since Lou loves noodles I gave her some from my Pho. Between the rice, noodles and the TV in her line of vision with Nickelodeon playing, this was the quietest Louie has ever been in a restaurant. It was very very strange. I had to keep looking over to make sure she was there. 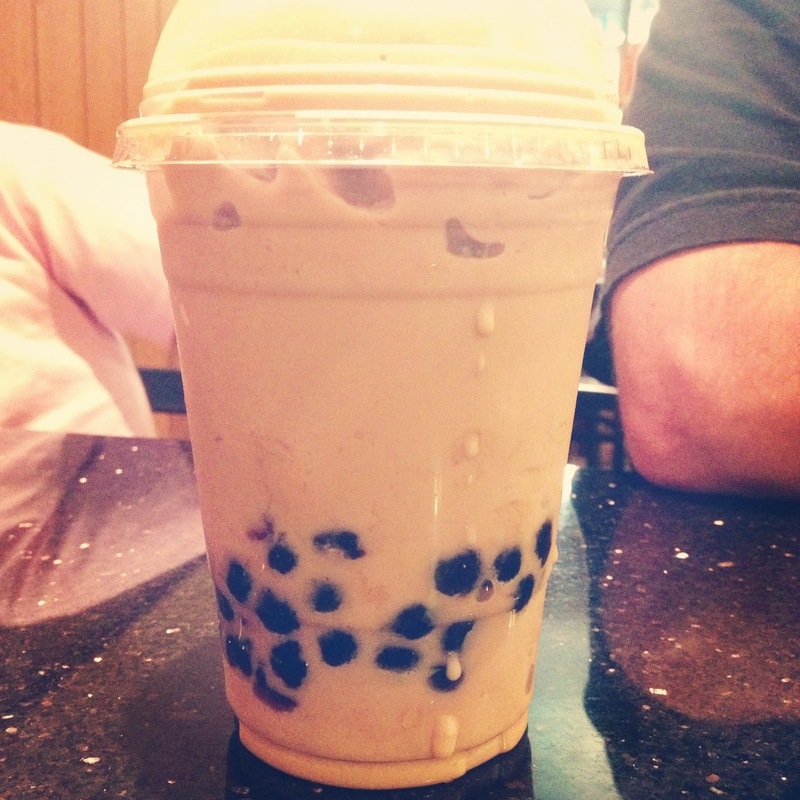 Joey tried the boba milk tea smoothie. This drink alone is reason to go. It was like a Thai iced tea smoothie. I can see these becoming a habit and that habit becoming a problem! 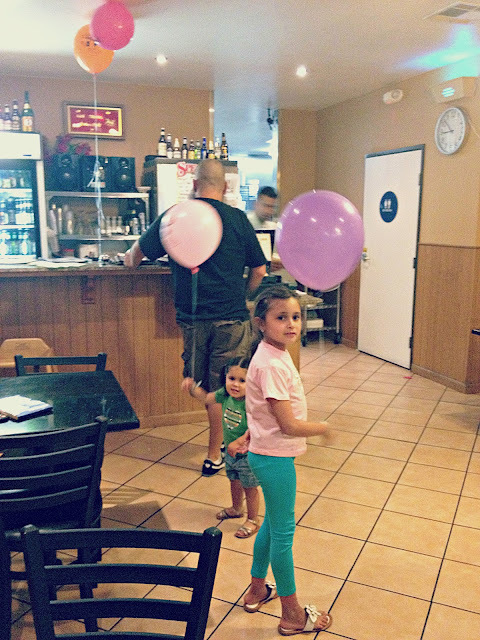 So in the end Joey and I decided that pho was simply amazing and the girls got balloons and there was TV's so they loved it too!.